Master Cleanse - But Is It For You? You are here: Juice Fasting for Life > Juicing Blog > Health > Master Cleanse – But Is It For You? Master Cleanse – But Is It For You? Over the last few days I’ve been telling people about how great my friend Yuri’s Total Wellness Cleanse program truly is. Half the U.S is talking about it. Learn more about here CLICK HERE for Details! But what I haven’t told them is that this cleanse might not be right for everyone including YOU. In fact, there are a lot of people that are not suitable for the Total Wellness Cleanse. “Our cleanse is ONLY for those who are serious about their HEALTH. It is for those who value learning more about their health and how their body functions. The big problem nowadays is that people are so focused on losing weight that they forget about how their decisions are affecting their health. It’s not just another set of pills or short-term fix that does nothing for you in the long run. On the contrary, his cleansing diet is just that – a cleansing DIET. 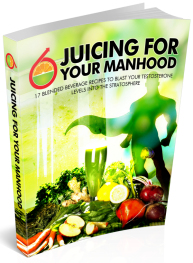 It is a whole food-based approach that will show you step-by-step how to eat to cleanse your body of years of toxic build-up. I understand you probably have a bunch of questions about his program, and so I’ve taken the liberty of including many of the answers that Yuri provided to me the other day. 1. What makes this cleanse different from all the rest? The Total Wellness Cleanse is the ONLY guided cleanse that is completely natural and food based. Although there are many different detox products on the market, our program is a holistic approach to healing and cleansing your body through food and lifestyle improvements. Our unique approach is based on years of experience (and great results) with our personal clients and is verified by the leading cleanse/detox experts and scientific data. Perhaps more importantly, our program is the ONLY one that will give you daily support via email. We’re at your side 100% of the way to keep you motivated and on-track. 2. What do I need for this cleanse? Other than food and water, you don’t need much. A blender and juicer are helpful but are not required. 3. How long is the cleanse? 30 days. The first 14 days are the “cleanse phase” and the second 2 weeks are the maintenance phase. So, in reality, the real cleanse is 14 days. It’s all explained in the program and very easy to follow. 4. Are you going to sell me any detox or cleanse products? Absolutely not! Our approach is through dietary and lifestyle improvements – not “magic formulas”. 5. Who shouldn’t do this cleanse? Our 30-day guided cleanse is suitable for any healthy individual. However, to avoid toxin transfer to the fetus/baby, we do not recommend that pregnant or breast-feeding mothers do the cleanse. Furthermore, if you suffer from a serious illness such as cancer or cardiovascular disease, we require that you consult with your medical doctor first and foremost. Finally, if you’re not motivated to make substantial health improvements and lose weight, then this isn’t for you. 6. Will I lose weight on this cleanse? Most likely yes. As your body releases excess toxins, your fat cells (which store the toxins) will diminish in size. Also, because you won’t be eating excessive amounts of calories you may create a caloric deficit if you’re an active individual. This, in turn, will also help you lose weight. The important thing to remember is that you will lose weight while dramatically enhancing the health of your body. 7. What if I don’t want to lose weight? That’s ok as well. Most people who cleanse, while wanting to maintain their weight, might lose a few pounds (usually less than 5 lbs) but that’s about it. The key to maintaining your weight on our cleanse is to ensure you incorporate regular strength training and follow a clean diet that provides sufficient calories. You’ll get both of these components with our cleanse. 8. What other results can I expect? Everyone is slightly different but the most common results we see (and that are reported to us) are fat loss, clear and radiant skin, much more energy, greater capacity to exercise with faster recovery, and improved overall health (based on a number of markers including blood sugar levels, blood lipids, pH, and others). Most people who follow our cleanse also experience improved mental clarity, better concentration, and greater productivity in their business, work, and personal life. 9. Can someone with diabetes use the cleanse? Yes they can. As always, they want to make sure to consult a physician before starting a cleanse but the nature of our cleanse and recipes will be suitable for somebody with blood sugar issues. Continue to take any medications relating to this disease while following the cleanse. 10. Can age be a factor in determining if you should do the cleanse? Not at all. The cleanse will teach you how to eat properly and any age group can benefit from that information. 11. Will people doing the cleanse receive anything by mail? No. Since we are a “green friendly” company and we want to people to have immediate access to the materials, all of the information will be provided by email and digital download. 12. What happens after the 30 days are up? You are given an 8 week maintenance meal plan and recipes as part of the cleanse that you can follow after the original 14 day cleansing period. This will provide you with ample time to be able to change your dietary lifestyle going forward. 13. What if I currently have a medical condition? Will this cleanse be suitable and okay for me to use? First and foremost, consult your physician before starting any cleansing program. However since the nature of the program is really about making much healthier dietary choices, people from all walks of life will be able to benefit. 14. I travel quite often; will I still be able to do the Cleanse? Yes. The key is preparation. Make sure you know what you need while you travel, i.e. grocery list, proper foods. The knowledge you will acquire in the cleanse will also help you make healthy “cleansin”g choices while eating in a restaurant or hotel while you travel. 15. What If I need further assistance throughout the cleanse? Not to worry, you’ll receive daily coaching emails with on-going support, inspiration, and answers to your questions. Furthermore, we provide more personalized support on our Facebook page which all cleanse members have access to. 16. Can I exercise while on the cleanse? Yes. You can exercise while on the cleanse and it is certainly helpful if you’re looking to lose weight. Just be aware that working out during the 14-day cleanse phase may be more challenging as you’ll have fewer sugars and calories to use as fuel. 17. How much does this cleanse cost? I’ll tell you what it won’t cost you…full price! Because we want to reward eager action takers who want to lose weight and better their health in the safest and healthiest way possible, we’re giving those people who start our cleanse today an instant $300 OFF the regular price.